8.81 Acres W/ mowed ATV trails, tons of deer and wildlife, a great place to have a fall bonfire! 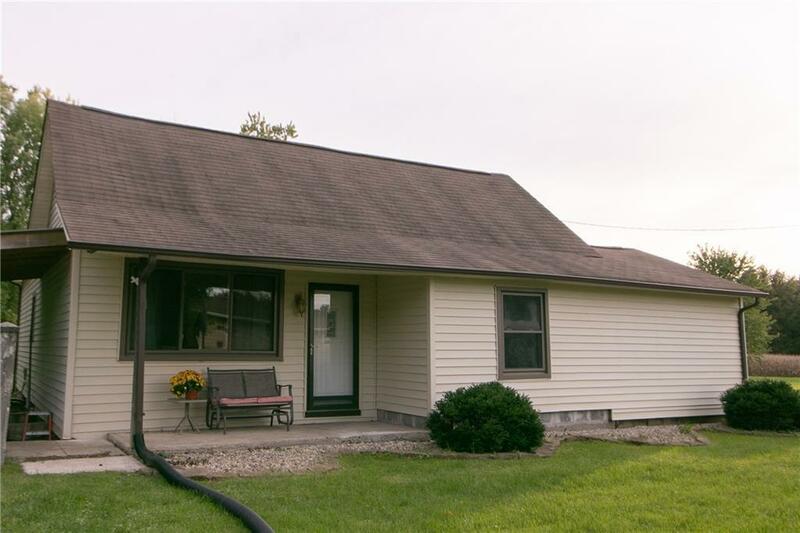 3 bedroom, 2 bath, 3 car detached garage with concrete and electric, new carpet and floors throughout, high speed fiber optics endeavor internet, this one checks all the boxes on the buy list! Come and see this well maintained home with over 1600 Square feet. New furnace and duct work in the last 2 years, New and updated kitchen with custom built island. All appliances to stay including the washer and dryer. Master Suite features a private master bath and walk in closets. Walk out your kitchen to a brand new patio deck built in 2018! City water, Vectren gas, minutes to I-70, but not in the city limits! Honey were home!